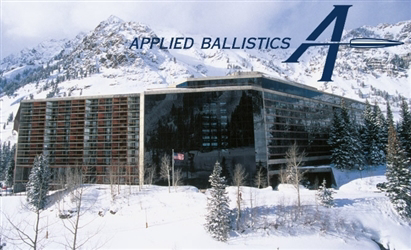 The Applied Ballistics 2019 Spring Seminar will be held at Snowbird Resort in Utah on June 1-2 2019. The cost of attendance is $625, however from April 15th through the 21th Outdoor Wire Readers can use code ABWIRE for $75 off registration. 3) Binder including hand-outs, articles and various assorted utility worksheets. 4) Certificate of Course Completion. After registration attendees will need to book lodging with the Snowbird Center separately by calling this number (800) 232-9542 and stating they are attendees of the Applied Ballistics Seminar when booking.